How Raksha Bandhan is Celebrated in India? BoonToon May 8, 2014 February 19, 2019 No Comments on How Raksha Bandhan is Celebrated in India? Raksha Bandhan has been among the most popular of festivals in India, and particularly so because of the universal appeal of the love for one’s siblings that it epitomises. Tying of Rakhi or the sacred thread around the wrist of the brothers by their sister from the core ritual of this festival. The Rakhi has come to signify the sisterly care and affection, as well as, a prayer to the Almighty to keep the brothers out of harm’s way. 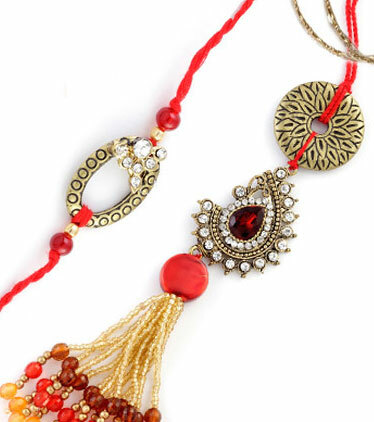 In many parts of the country, it is known as or popularly known as Rakhi Purnima or Rakhi. Not only in India but is the festival also celebrated in some areas of Nepal and Mauritius. Similarly, it is not only celebrated amongst the Hindus but also within the Jain and Sikh community. Around the world, people with Indian origin celebrate this festival. Since it is an ancient festival, there are many important stories and legends related to it. There is a common popular belief that the queens in Rajput used to send Rakhis in neighbouring states and kingdoms to maintain an attractive relation. Rakhi is a sacred thread tied in the arms of sisters to keep a lifetime bonding and longevity. Usually, according to the Hindu lunar calendar, the festival falls on the full moon day of the Shravan month. This festival is not only between one’s brother and sister, but the thread is tied amongst cousins and distant relations. After the thread is tied, the sister prays for the well-being of the brother, and in return, the brother assures protection and taking care of her sister. This festival is famous because it transcends biological relationship and brings people around the globe closer. Love and harmony are ritualistically emphasised here. During the Rakhi ritual brothers, sisters and other members of the family get in their best attire. After facing each other, the sister ties the rakhi on the brother’s arm. The sister wishes prosperity, good health and happiness for her brothers. Rakhi prayers are indeed ancient, and it is found in Chapter V of the “Vishnu Purana”. After the prayer is completed the brother takes a tilak mark on the forehead from the sister. There is a small food ceremony after this. The sister with her own hands feeds the brother with dry fruits, desserts, sweets and other delicacies of the season. Rakhi celebrations also involve giving away of gifts and return gifts, which makes this day even more colourful and enjoyable. It may be clothes, cards, money or something thoughtful. The brother may also feed the sister with sweets, and they hug afterwards. If the brother is living beyond the borders, the sister couriers him the rakhi day before. These days, people living away from their family and unable to meet on this day are taking advantage of the internet penetration to order gifts online. 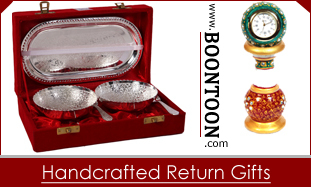 These online services deliver ordered gift items to the doorsteps of the intended receivers. Thus, it has become possible to take part in the great Rakhi celebrations from any corner of the planet, and shower loved ones with gifts as a mark of love and affection. There are many myths and parables associated with the festival. The different stories are that of Indra Dev, King Bali and Goddess Laxmi, Krishna and Draupadi and between Yama and Yamuna. A lot of historical references could also be bought in consideration. Some of the interesting ones are between Alexander and Puru, Rani Karnavati and Emperor Humayun and Rabindranath Tagore and the Partition Bengal incident. Therefore, we can see that it is not only a festival between brothers and sisters, but it has rich historical importance, dating back way into history. The festival has always transcended beyond the normal relationship between brothers and sisters. It has been important during the independence of India. When the partition of Bengal occurred, people came out into the streets and tied Rakhi in each other arms to celebrate unity, bonding and prosperity between people. Henceforth a strong bonding was collaborating with them against the mighty British Empire. As we come to know more about the festival, we realise that it also has different regional variations such as in the Kumaon region, West Bengal and Nepal. The multiculturalism between the festivals makes it an important ceremony in the country. Rakhi will never lose its importance in the world book of bonding, love and protection and explain how people have stood for different causes through the festival and ethnicity of culture.